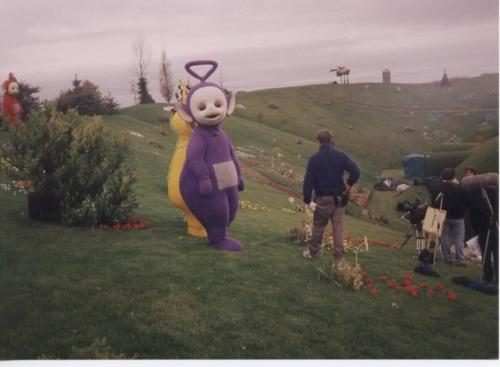 So, it turns out the Teletubbies are actually enormous. Literally. That’s right, the kid’s show that reached wild popularity in the late 90’s, actually features six-foot-plus giants. If you were one of the blessed unfortunates that watched the show as a child, you may have thought the multi-colored, large, electronic bab-ish characters just looked looming. After all, everything looks bigger when you’re little—parents, spiders, dogs, math books. But after 20 long years since the “kids show” began, the internet has finally discovered the truth: the Fab Four actually are looming. All of this comes in addition to the fact, these beloved creatures speak gibberish, keep a living hoover as their friend, hold a baby trapped in their sun, and have antennae growing out of their heads. As if this wasn’t bizarre enough. Are you scared out of your TallSlim Tee yet? If not just look at this next picture. Even still, you may be asking, what’s the big deal? They’re tall, and I’m tall. Enormous electronic babies aren’t anything to be afraid of. They may even look good in a TallSlim Tee themselves. And you may be right. 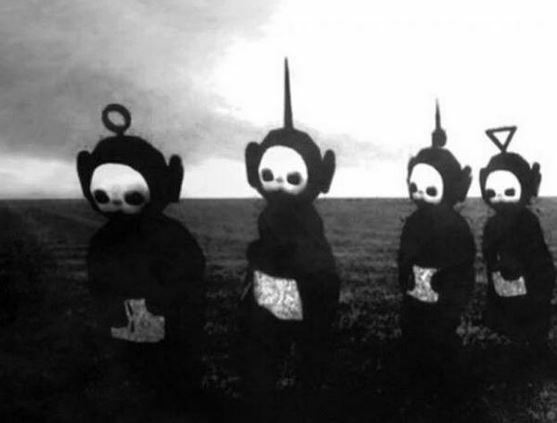 Perhaps Tinky Winky just needs some extra love like the rest of us. After all, he probably doesn’t fit in airplanes, cars, or showers; probably can’t find shoes, pants or shirts in his size; and constantly gets asked if he plays basketball, can touch the ceiling flat-footed, or fit through that little doorway. So maybe the internet is looking at this all wrong. Maybe instead of fear and terror, maybe they just need some extra love. If you agree, order your net TallSlim Tee in honor of Twinky Winky.